Carpeting and upholstery that’s clean doesn’t just make a room look better. It also helps to improve air quality and reduce harmful allergens, At Augie’s Carpet Cleaning, we know that properly cleaned upholstery or carpeting makes a business look better and makes employees feel better. For 10 years, we’ve worked with satisfied clients throughout Macomb, Oakland, Genesee, Lapeer, and Wayne counties. With 19 years of industry experience, our IICRC certified technicians do every job right, every time. But we consistently get certain questions from clients, and we’d like to share them for you. If my carpet isn’t visibly dirty, is it okay to wait on cleaning? Even if your carpeting looks fine, we don’t recommend pushing out cleaning. In fact, many carpet manufacturers recommend you have carpets cleaned every 6-12 months, and some will void your warranty if you don’t. What kinds of training do your carpet cleaning technicians undergo? Every technician receives IICRC classroom instruction, a thorough DVD instruction, along with visiting trade shows and completing industry-specific continuing education. If my carpeting is cleaned too often, will it become moldy? Not at all, not when the correct equipment and procedures are used. Our methods and technology are cutting edge, and by utilizing hot water and very powerful pumps, carpeting is fully dried usually within 3-8 hours. What should I expect when Augie’s cleans my carpets? To make sure the job is completed to your satisfaction, we take the following steps. Your technician will perform a thorough walk through of the area. They will note any areas where carpeting is severely damaged or stained and offer solutions. Next, they will pre-agitate, which thoroughly works the pre-spray into the fibers and effectively loosens dirt. 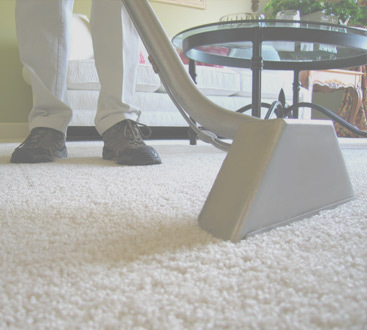 With hot water and steam extraction, your technician will clean the carpets. Rest assured that they will properly set the metering device, which determines the right amount of soap for the appropriate kind of carpet fibers. When it comes to upholstery cleaning, our specially designed tools gently clean every crevice, ensuring the surface is completely cleaned. 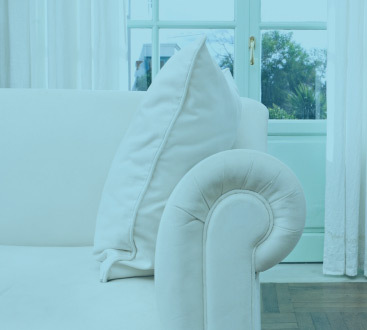 We understand that every piece of furniture is unique and requires the right cleaning method. Water extraction may not always be necessary but we do recommend our power vac service. This method eliminates pollen and dust mites that live on furniture and mattresses. Not only will they look better, but air quality will be highly improved. If you have questions, or you’re ready to book service, contact us today!